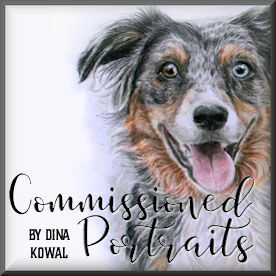 Dina Kowal Creative: Mix-Ability Challenge coming soon!! I'm so excited to tell you about a new challenge starting Friday, Feb. 1st at Splitcoaststampers!! Many trends in the crafting industry are moving towards mixed media - the term in itself can be a little scary because the interpretation of "mixed media" covers a wide variety of art, media, and applications. Really, though, mixed media art is just using two or more types of coloring tools or methods - any combination of pencils, paints, chalks, inks, markers, etc. Often, too, some sort of dimensional element is added, like collage items, papers, or found objects. It scared me too, until I looked at the definition and realized... I have been doing that all along! Because of the 'fear factor' involved in mixed media work, a brainstorming session began behind the scenes at SCS - what can we do to encourage and enable stampers to realize "I can do this"? And a new challenge was born.... Mix-Ability. Our team of 8 hostesses will take turns posting challenges, encouraging you to 'mix it up' a little - try a new technique, play and experiment a little, splash some paint around, etc. - while incorporating more than one coloring medium into your work. We'll be posting a new challenge each Friday, and we'll be right there with you, encouraging you and helping you to stretch your creative boundaries. We'd love for you to join us!! This card was made using acrylic paints, inks, Touch Twin Markers and Inktense pencils. The stamps are mostly from my dkdesigns line at Impression Obsession. Stamps used: Birds on Music, Impulse 2, Soar, Paris Registre, French Letter. I'll share more challenge details when we go live February 1st! So excited. Your work is always beautiful! 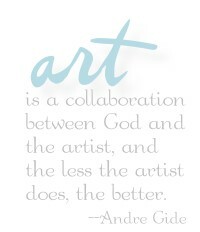 Oh- I am loving the idea of trying some mixed media- I will really look forward to these challenges! Woohoo I'm a mix media artist, I do make cards but I love to mix. Your work is always so fabulous I can't wait to see what you come up with. I'll be there! I've long admired the "look" you achieve, and can't wait to learn some of the techniques. Plus, I'd love to use some of the acrylic paints I collected during my One Stroke phase - lol! very cool card Dina! Love it!